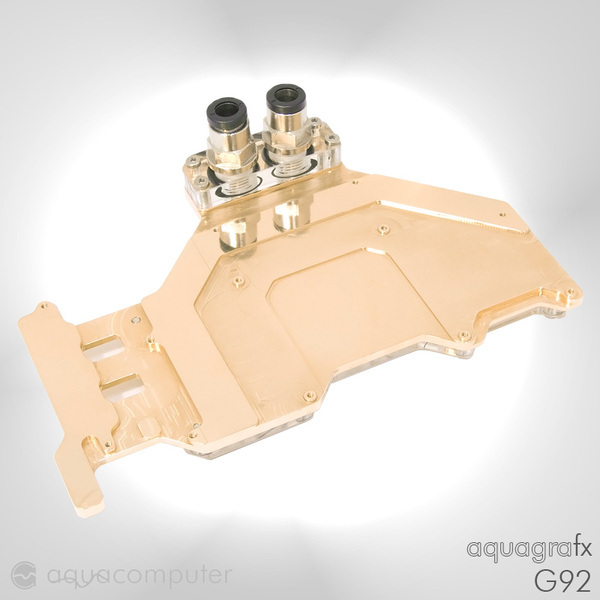 We have the new aquagrafx G92 complete cooler in the assortment since today. This cooler fits on 8800GT cards. The cooler is manufactured from copper and has a weight of 480 grams. 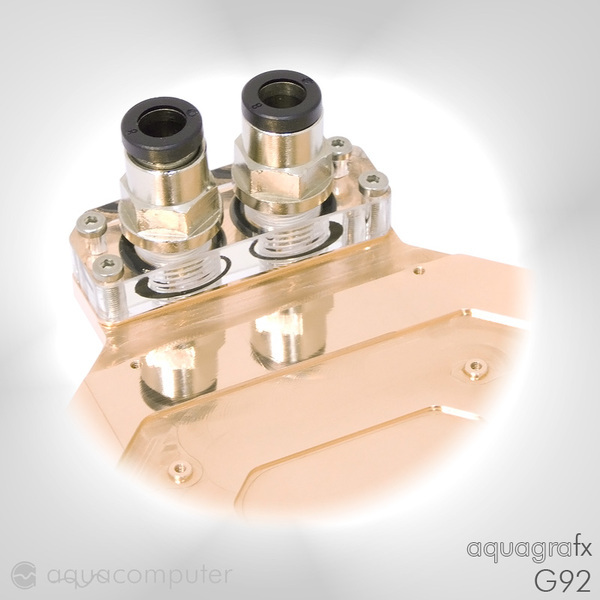 Despite the low height of about 6 mm the cooler with its 17 mm of broad channels reaches a good flow which is not narrowed by the G1/4 connections either. An effortful cooling structure which guarantees an optimal heat removal is over the GPU. The graphics processor, the RAM as well as the 10 voltage regulators are cooled, in which furthermore another three voltage regulators which are not fitted on the current card are also cooled. 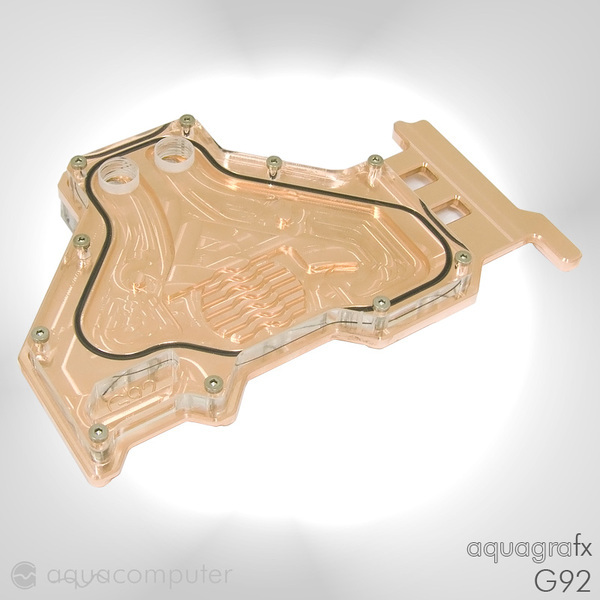 As a lid there will be a variant made of high-grade steel and a bit later a variant of plexiglas. 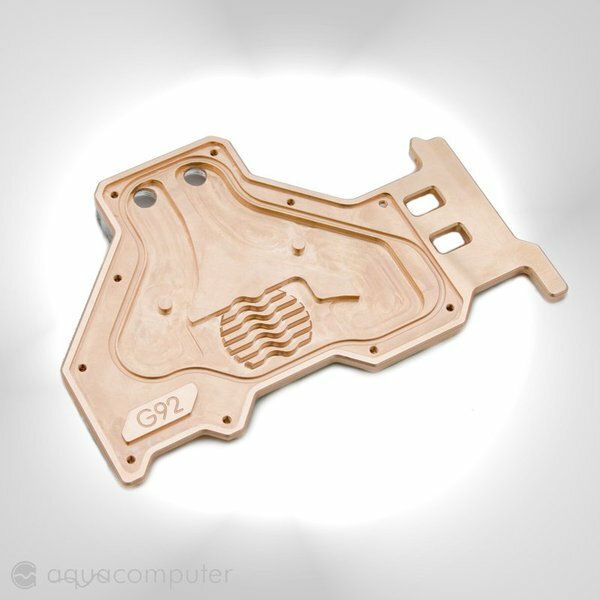 Moreover, the plexiglas lid will have G1/4 threads so that the connections can be fitted also above. 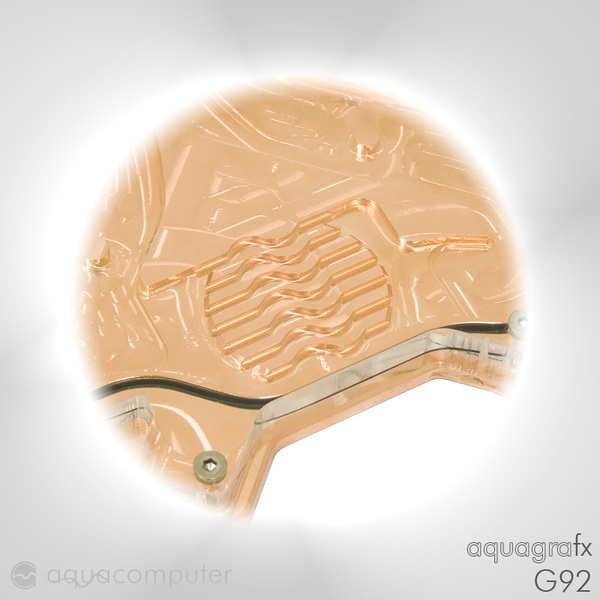 The aquagrafx G92 will cost 79,90 euros and can be ordered in advance already. 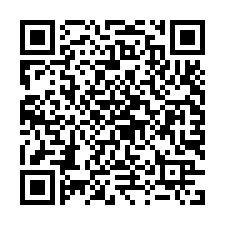 Here a couple of pictures. The pictures show a prototype. The production quality will be increased for the series and of course there will be the well-known engraving on the lid.